Leishmania parasites cause a diverse group of diseases endemic to many tropical and subtropical regions of the world. This volume seeks to bring together recent research on cell and molecular biology of Leishmania with chapters on the host response to infection, the current epidemiology of leishmaniasis, explanations of the many different species, vector control, and strategies for vaccine development and drug treatment. 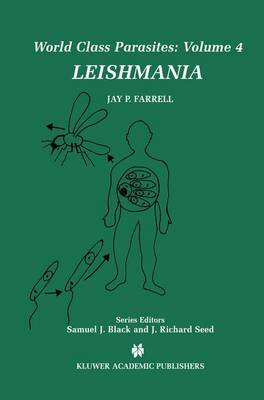 Leishmania, volume four of World Class Parasites, is written for researchers, students and scholars who enjoy reading research that has a major impact on human health, or agricultural productivity, and against which we have no satisfactory defense. It is intended to supplement more formal texts that cover taxonomy, life cycles, morphology, vector distribution, symptoms and treatment. It integrates vector, pathogen and host biology and celebrates the diversity of approach that comprises modern parasitological research.